The Russian and American scientists developed nanoantennas which can direct light randomly. Elements use for creation of luminous computers, and also superfast communication systems. The nanoantennas developed earlier allow to control light in quite wide limits preferentially at the expense of the form and materials of which they are made. At the same time it is impossible to change characteristics of antennas in the course of system operation. At the heart of new antennas – experiments which were made by specialists of MIPT and ITMO University. They developed silicon nanoparticles which optical properties are non-linear. On properties of a particle remind the silicon full-spheres filled with electronic plasma. It arises when silicon absorbs light, and at the expense of it full-spheres unconventionally interact with rays. Properties of nanoantennas can be controlled dynamically – their status depends on intensity and other physical properties of rays. So, if to light nanoantennas with the strong laser pulse, then they show one behavior, feeble – another. Within the experiments scientists used power short light pulses. 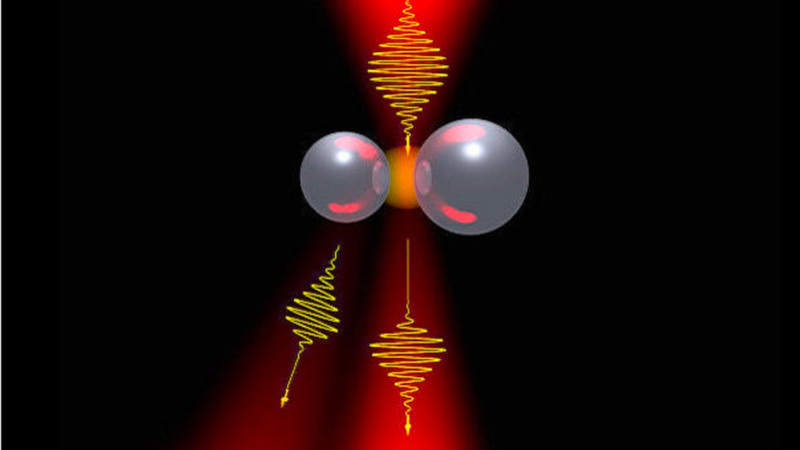 Under their action nanoantennas switched the properties. With feeble light elements interacted almost in real time. Experts developed technologies which allow to scatter light by means of nanoantennas forward or back. Later they learned to turn a luminous flux in the necessary direction, changing its intensity, at the same time nanoantennas full-spheres were located at precisely calculated distance. Nanoantennas will be used for creation of luminous computers. They will form the basis of computing instruments and optical transistors, and also will allow to create high-speed networks of information transfer. Scientists assume that data transmission rate on such networks will reach 250 gigabits per second – in tens times more, than in the modern optical lines of communication.